"It honestly didn't feel like work"
Arguably one of the most recognisable faces on the Nintendo indie scene, Jools Watsham is the founder of Renegade Kid, a Texas-based studio which has a long and proud history of producing high-quality content for Nintendo systems. Titles like Xeodrifter, Mutant Mudds, Moon and Dementium: The Ward have created a passionate and receptive fan-base for the company's output, and future projects such as Treasurenauts are eagerly awaited by many a Nintendo fan. However, something that even Renegade Kid's most committed followers perhaps don't know is that UK-born Watsham didn't start his career in the games industry as a developer, but as a journalist. "From a very young age I was fascinated by video games, or 'computer games' as they were referred to at that time"
Back in the early '90s, video game magazines were pretty much the only way to find out about new titles and read reviews covering the latest releases, and if you lived in the United Kingdom then you will almost certainly have read one of EMAP's many gaming-focused publications. EMAP was one of the biggest publishers operating in the video game sector at that time, and was responsible for one of the first gaming magazines ever made, Computer & Video Games. This legendary tome - which only recently was put to bed by new owner Future - had an enormous influence on players of the period, along with several other notable mags. Watsham was no exception. "From a very young age I was fascinated by video games, or 'computer games' as they were referred to at that time due to the scene involving mainly gaming computers such as the Spectrum, Commodore 64, and then later the Atari ST and Amiga," he says. "I would frequently buy UK magazines like Crash, Zzap64, Mean Machines, and The One. Even though I was fully into playing games and reading about the developers making them, I never imagined that it would be possible for me to get a job in any facet of the industry because it was such so new and no one knew how anyone got 'in'. I wanted anything and everything to do with playing and making games from an early age, but it was more of a dream of wishful thinking than a legitimate goal of mine at that time." 25 years ago the games industry was a very different beast to the one we know today. The console boom was only just beginning and although home computers had launched the careers of many a British developer, it was still seen as a somewhat unorthodox job choice. "Even pursuing a creative career with art or anything outside of the blue collar / white collar industries was considered strange and risky at that time, but fortunately my parents supported my desire to do something creative," explains Watsham. "I love to draw, so I started along the graphic design path and attended a college in Farringdon, London at the age of 17 - which was very exciting. While I was attending college I went on my first job interview for a pixel artist at a company in York, England, but due to the fact that my portfolio only consisted of traditional art, I didn't get the job." "What I love about that moment is that it presented a fork in the road for me to make a decision"
One door may have slammed shut in the young Watsham's face, but that didn't mean that other avenues were closed to him. 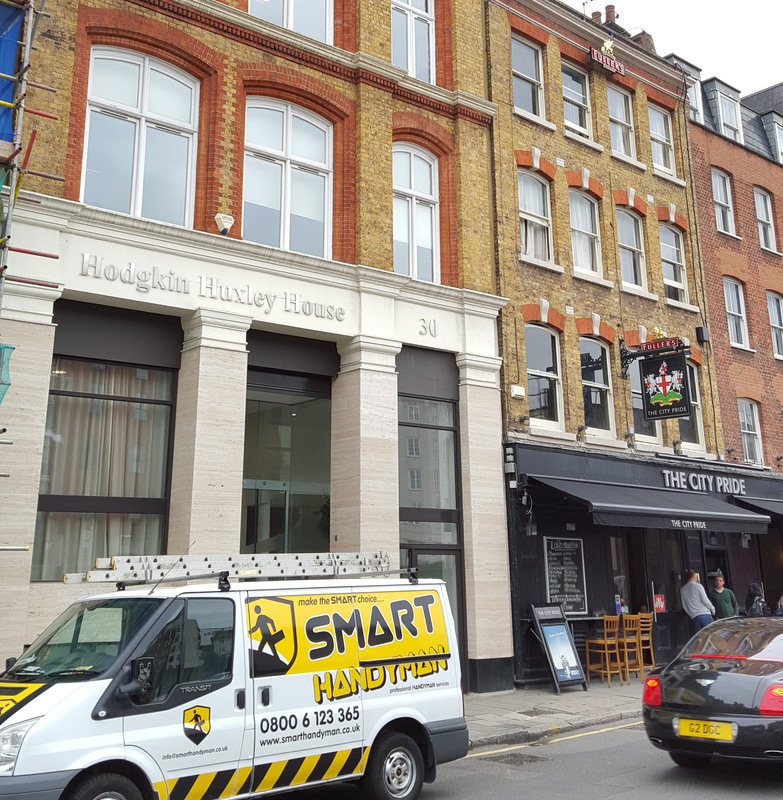 As fate would have it, his college in London was right on the doorstep of EMAP's main office. "One day I was wondering around Farringdon on my lunch break and I stumbled across a tall building with a plaque outside that read EMAP," he recalls. "I couldn't believe it. I knew that EMAP was the place where a lot of my favourite video game magazines were created. What I love about that moment is that it presented a fork in the road for me to make a decision. Do I walk in and ask for a job, or do I shrug my shoulders and say, 'that's cool!'?" Thankfully, Watsham took the former, more impulsive option. "I decided to go in and ask them if they were in need of an inexperienced 17 year old on their national magazines!" he laughs. "I looked up the Editor of The One, who was Ciaran Brennan at the time, and stepped through the imposing doors. There was a receptionist in the lobby, who I asked if I could to speak with Ciaran of The One. She made a quick call, and a few minutes later a rather tall Irish man came bounding down the stairs asking me what I wanted. Upon hearing that I was interested in a job, he tasked me to write two reviews of my favourite games and send them in - which was via mail at the time. This was in 1991, and prior to the wonder of email. So I did! In hindsight, I know what I wrote was not good, but I think the combination of my enthusiasm, boldness, and low salary requirements got me the job!" Like a kid in a candy store, Watsham took to the role immediately. "It honestly didn't feel like work," he comments. "I was incredibly excited and humbled to be working on The One. I had the biggest respect for the magazine before I joined it, and being able to meet and work with the team who created it cemented my respect for the magazine and the people behind it. Ciaran was a very fun, creative, and talented editor who made my experience both enjoyable and extremely educational as a young adult. His fun but no nonsense attitude helped whip me into a shape on a few occasions, which I appreciate. Paul Presley was a force to be reckoned with. He was a writing machine. His work is a wonderful combination and intelligence and humour." "In those days each screenshot of a game was a photograph of the TV screen captured by a regular camera in a very dark room to avoid glare on the screen"
As the new kid on the block, Watsham was, by and large, given the tasks that no one else wanted to do. "My official title was Trainee Staff Writer," he says. "My first task wasn't very glamorous, but it didn't bother me. In those days each screenshot of a game was a photograph of the TV screen captured by a regular camera in a very dark room to avoid glare on the screen. They had hundreds of photograph negatives that were a complete mess and needed to be organized into folders and filing cabinets. So, that is what I did for what seemed ages - but, it was probably only a week or two. Later on I took screenshots myself, wrote articles on developers, reviews, previews, visited developer's studios - it was totally awesome." It could be considered a blessing that Watsham and others like him at the time felt so contented in the role, because magazine production in the early '90s was an incredibly primitive affair. "The PC computers the journalists were using at the time did not even have Windows - just an MS-DOS environment with a word processor," Watsham explains. "We would provide the write-ups, or 'copy' to the editor for review via floppy disk and he would in turn transfer it to the designer when it was ready. The designer had a fancy Mac computer, with a much more sophisticated environment, and I believe they used Quark to layout the magazine pages. We weren't quite at the point where we were capturing screenshots at that time, so black boxes were placed on the page layouts to be replaced with photos at the printers at some point in the process. But before that could be done we would need the 'negatives' of the pages sent back to us on these cool-looking transparent sheets. After the screenshots were captured via traditional camera in the dark room, I would run up to the processing company which was a healthy walking distance away, and then pick them up either later that day or the following day. Once I got into the flow of things I would typically be dropping off one set of rolls and picking up the previous set at the same time. We would then tape the appropriate photos to the black boxes on the negatives so the printers could do their magic to somehow fuse them into a single glorious entity. It is crazy to think about the hassle involved in making that is so simple nowadays." 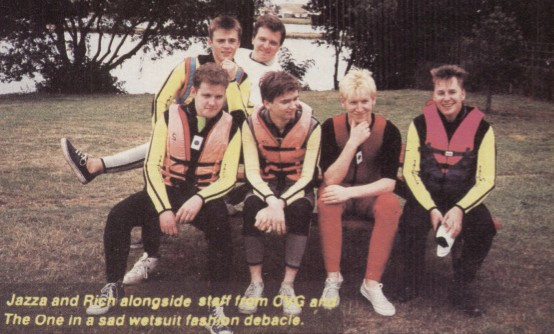 Watsham joined EMAP at a time when the games industry was going through a dramatic period of upheaval. Affordable home computers like the Spectrum, C64, Atari ST and Commodore Amiga had cornered the UK games market but these were slowly drifting out of favour as a new generation of lean, powerful Japanese consoles appeared on the market. Nintendo's NES and Sega's Master System led the 8-bit charge in the late '80s but the arrival of the 16-bit Mega Drive and SNES would take the games industry to another level of critical and commercial popularity. "I joined The One shortly after the release of GODS from The Bitmap Brothers, which was a big milestone in the history of the UK video game scene - perhaps the peak of the Amiga and ST era," recounts Watsham. "Other great titles like Lotus Esprit, Chuck Rock, and Magic Pockets were released while I was at The One, but there was a sense that the market was shifting. I was fortunate enough to be able to sneak up to the top floor of EMAP, where Mean Machines was being created - they focused on consoles. This is where I saw a Japanese import of Super Mario World running one the SNES for the first time. I instantly knew that this was something very special, and that it was in a different league than the Amiga and ST games." "Journalism greats such as Julian Rignall, Richard Leadbetter, and Frank O'Conner were also at the event. I recall cutting my foot when exiting the lake, which was not fun"
These days the industry has become a lot more sceptical about publisher-arranged events laid on especially for the benefit of the press, but back in the '90s games journalists didn't fear reprisals for taking part in these appealing shindigs, and the EMAP crew were taken on many a publicity jaunt as a result. "As part of a publisher event with US Gold, a few of us were treated to a jet ski event, which was very fun - and exhausting," says Watsham. "Journalism greats such as Julian Rignall, Richard Leadbetter, and Frank O'Conner were also at the event. I recall cutting my foot when exiting the lake, which was not fun! Another very memorable event for me was meeting with the Strangeways guys at their office. I was supposed to be covering their new game, Apocalypse, but it quickly devolved into drinking many pints at the local pub and stumbling to the train station afterwards." Despite the massive amount of fun he was having, Watsham's determination to make games rather than critique them meant that his tenure at EMAP was shorter than it might have been. "My desire was always to get into game development, but in lieu of that seemingly impossible dream, game journalism was next on my list of epic jobs," he says. "I continued to work on my pixel art in my spare time, while I was working at The One. Due to my exposure to game developers via my work, I met Dave Bowler, who worked at The Sales Curve. He mentioned that they were looking for pixel artists, so I sent my art portfolio in on a 3.5 inch floppy disk. I guess my art portfolio was decent enough to get me in the door at The Sales Curve, and they threw me right into the deep end as soon as I started. I worked on Rodland for the NES, a little on Troddlers, and mainly on Timeslip for the SNES. After only one year there I saw that a company in Northern England was hiring, called Iguana Entertainment. Both myself and programming buddy and genius, Steve Snake, interviewed at Iguana and were both offered a job." Watsham was quite prepared to relocate in order to take the role, but found that Iguana wanted him to travel a bit further than the North of the UK. "I was intending to move to Middlesbrough to work at Iguana, but they wanted to send me to their US office for training first," he comments. "I saw this as a wonderful temporary opportunity to check out America for a bit before returning for my real job in the UK. However, we never discussed me returning to the UK. Iguana US moved from California to Texas a few months after I joined, so I moved with them and have been in Austin, Texas ever since. There are many aspects of the UK that I miss. It is a wonderful place. I occasionally visit to see family and friends, but I do consider America my home now after being here for over 22 years - longer than I was in the UK, now, which is a strange thought." "It had its fair share of drama and interpersonal issues as with any business, but I don't think anyone can deny that it was a magical time for the folks who worked there"
Despite the illustrious career he has enjoyed since departing the world of games journalism, Watsham still has very fond memories of his time at EMAP - a company which, in the past two decades, has changed beyond recognition. It exited the video game arena many years ago, selling off C&VG to rival Dennis Publishing, which would in turn offload the magazine to Future, which has since killed off the brand entirely. It now focuses entirely on retail, health, construction, architecture, and fashion sectors, and has long since vacated the Farringdon offices in which Watsham began his career in the games industry. "It was a very fun place to work," he says. "It had its fair share of drama and interpersonal issues as with any business, but I don't think anyone can deny that it was a magical time for the folks who worked there. A combination of fun and professionalism was maintained fairly well." 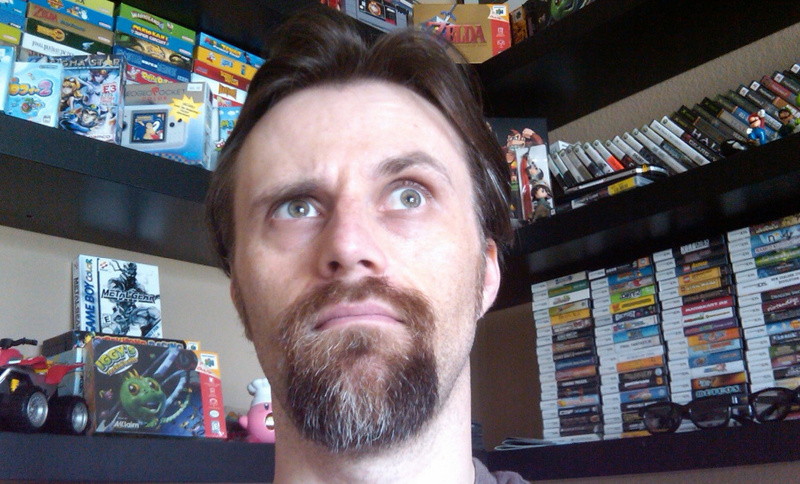 His time at EMAP has also given him a unique perspective when it comes to modern games journalism. "I have a deep respect for game journalism," he states. 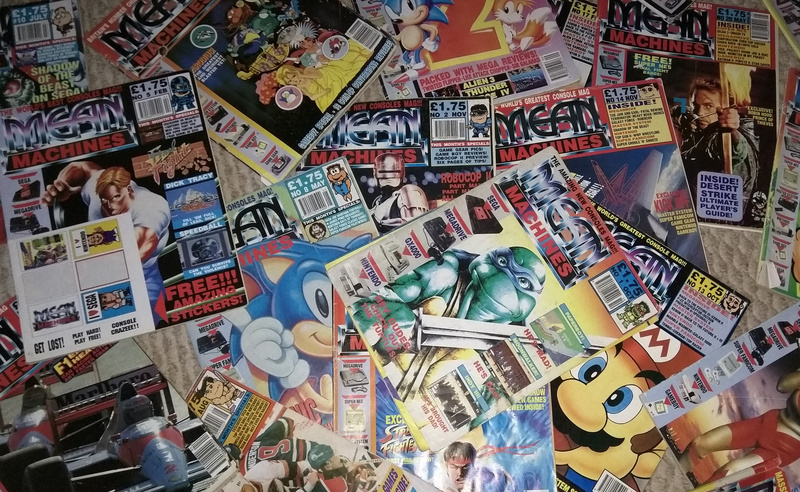 "I was a huge fan of game magazines as a kid and am still now as an adult. Not only do I enjoy them, I also see the importance they have for fans of video games in getting people excited about new releases and also glimpses of behind the scenes, which is something I was also very interested in learning more about." Steve Snake - is that the same guy who programmed Kega Fusion? Why is there only one comment in here? I'm not his biggest fan but there's no doubt he filled quite a few voids in Nintendo's rather sparse release schedule! I'll give him credit where it's due! Lol games journalism? Does that exist? The first Dimentium is his finest creation IMO. Brings back all sorts of warm fuzzy nostalgia, sigh*....I wish I were in my 20's again! Great look at the History of Jools Watsham, can't wait for his upcoming games. This was a great read. When the headline caught my eye, somehow I didn't see the word "Journalism" right away, and during a brief moment of panic I thought this was going to be about him retiring, which would be terrible. I do some video game journalism for The Chatsworth Times. This was a good read, very inspiring, and makes me think more about whats next. Ah, that picture of Mean Machines—one of the greatest video game magazines ever, and my personal favourite. I used to have every single issue—but I don't anymore. @Dezzy nope, this site right here is actually a cheese sandwich! You're hallucinating! Brilliant piece, Damien! Really top-notch work, as usual. CVG was a great magazine (shame about the horrible website it spawned). Reading this really took me back to my childhood. Magazines were everything to me... I didn't even get my first computer until 2006! Great read. Crazy where life might take you if you let it. I remember I also had most issues of Edge too, right from Issue 1, and I went and sold them all for £60 on eBay—only to go online a couple of days later and find out that Issue 1 alone was going for £60 (at the time, as I recall). The git that bought them even had the cheek to give me a negative vote (or whatever it's called) because two issues had a couple of images cut out of them, which I didn't know at the time. @Kirk I'm going to make you even more jealous now - I've got every issue of EDGE from 1 up until around the end of the PS2 era, when I stopped buying it. Those first 20 or so issues are simply untouchable - some of the best games journalism I've ever seen, and a surprising breath of fresh air after the (much loved) silliness of the EMAP era. The reported was fantastic, it didn't dumb down the content and the production values were head and shoulders above any other magazine available at the time. Yeah, Edge started off with a bang and just kept going like that. Stellar stuff right from the get-go. There was definitely a whole different kind of professionalism and maturity to Edge. @antonvaltaz Yep, same guy, although you'll probably not be surprised to learn that "Snake" isn't his real surname heh. Also wrote Rodland and NARC on the C64 originally before going to Iguana. This was a very interesting insight into Jools Watsham's early career. Makes me wish I could earn the type of opportunities he was presented with, but this also shows how unexpected life can be. Good or bad, it doesn't matter. As long as you cherish the time you have. Tyrone Rodriguez was the name of the president of Nicalis who used to work at Game Informer. I actually traded some Turbografx games with him back in the day. I used to own well over 500+ Turbografx/PCEngine games. We made a few trades around 1992. I'm glad to see him doing so well also in gaming. I really liked Grinsia too. It caught a really bad wrap because it had a very bad glitch at release time. I figured out the glitch was on like a 1 hour timer. After playing 1 hour exactly the game would just crash and if you didn't save you would lose all that you did. It didn't take me long to figure it out. It took Nicalis quite sometime to fix the issue and people got ticked off about it. Nicalis should have at least made a press release that they were working on it but failed to do so making people even meaner. By the time the patch came out I was nearly finished with the game. It did make my last couple hours of play much better the game is a decent RPG but really got kicked around because of the bug. Nicalis had been releasing games with bugs quite often at the time. I can't wait for RK's upcoming titles. Nice article, In a wierd way I miss the days when all your gaming info came from a magazine once a month, everything just seems a little too easy now. I think that changed somewhere around the end of the Sega Saturn era for me, good times.